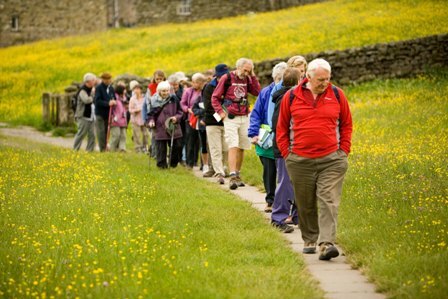 Join us in a celebration of the wonderful wildflowers of the Yorkshire Dales! 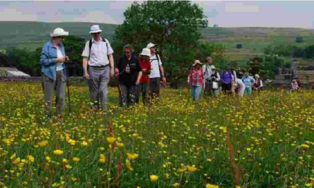 The Flowers of the Dales Festival is packed full of exciting activities to help you discover and enjoy the incredible variety and beauty of the Dales' wildflowers. 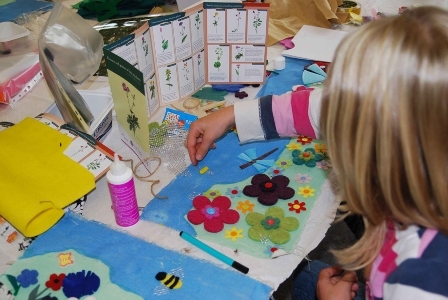 With everything from 'go wild' weeks, craft and bioblitz events to wildflower walks, talks and identification courses, and with events taking place across the Dales from March to November, there really is something for everyone. Wildflowers flourish in the Dales because the area is home to an amazing variety of wildlife habitats, such as ancient woodlands, moors, traditionally-managed meadows, and limestone pavement. And these habitats and their wildflowers in turn support a wealth of wildlife by providing food and shelter throughout the year, from the first bumblebees emerging in spring to birds feeding on seeds in winter. But the Dales is not a 'wild' place - this internationally-important landscape is dependent on people - to manage it, to care for it, and to value it. The Festival includes events to help you find out more about how the Dales landscape is looked after, through the efforts of farmers and conservation organisations. And you can help too, by taking part in some of the conservation activities on offer. Events are run by a wide range of organisations and individuals, and the Festival is coordinated by Yorkshire Dales Millennium Trust. We are delighted to say that more than 23,000 people have enjoyed taking part since the first Festival in 2009, and with more than a hundred exciting events to choose from this year we hope you'll have a great time and enjoy the Festival too! Download your free Flowers of the Dales Festival Programme now and find the perfect activity for you.